Hooray! I actually managed to get two tickets for Take That's Beautiful tour this morning, despite every website and "hot"line in the country crashing under the sheer weight of Thatties (or, more likely, ticket touts) trying snap up all the precious seats. The gigs-and-tours.com website was so stressed by the whole process that it omitted to tell me what date my tickets were for, or where in the so-called "02" arena I'd be sitting. The concert's not til December, so in the meantime why not download an MP3 of that Arctic Monkeys' single I was talking about yesterday [via zshare] and tell me what you think about it? 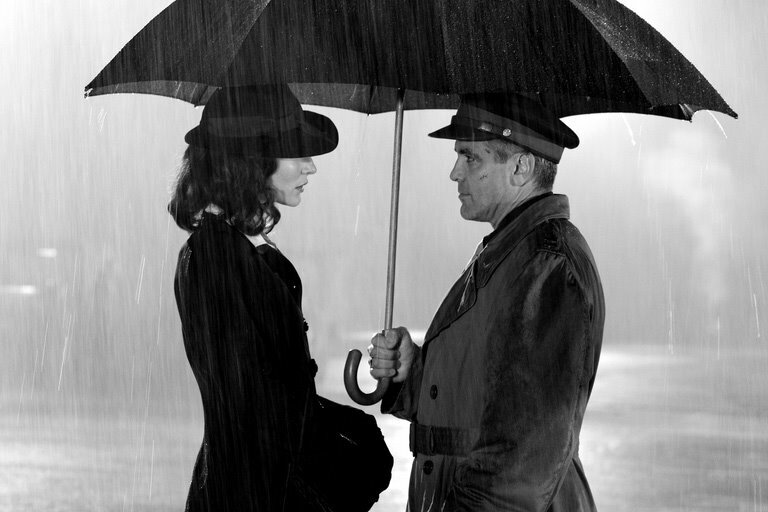 Also, to round off the utter random-ness of this post, here is a gratuitous picture of George Clooney with a brolly.